PARADISE IS NOT QUITE LOST, OR IS IT? 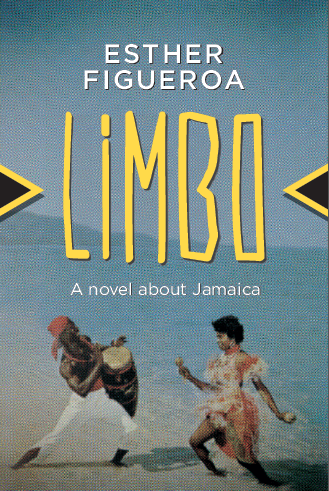 Esther Figueroa, award winning Jamaican independent filmmaker, writer and linguist, has written an environmental novel Limbo that is officially released by Arcade Publishing today. Book launches and readings are scheduled for Barbados: UWI Cavehill Bookstore, March 28, Jamaica: UWI Mona Department of Literatures in English, April 6, Trinidad: UWI St. Augustine & BOCAS, April 23. New York: Greenlight Bookstore, May 5.
other side is its tender and evocative celebration of love, friendship, place and belonging. Flora Smith, Jamaican scientist and head of tiny NGO Environment Now, dedicates her life to getting Jamaicans to care about the natural environment. Flora is confronted by the nagging reality of not having enough money to keep her organization afloat, but relief may be in sight when sand is stolen from a planned resort owned by a wealthy developer, who promises a hefty donation if she can help. In Jamaica, the land of “No Problem Mon,” everything is known but off the record. Can Flora get anyone to be held accountable? Can she find solutions for any of Jamaica’s problems? When people start to disappear, including those she holds dear, will she be able to avoid becoming embroiled in corrupt politics, dirty money, and even a murder? Limbo is a humorous, sensuous romp, detailing one woman’s struggle to find ways to effectively achieve change while making peace with herself and her island, which she loves more than anyone. As we keep pace with the indefatigable, irrepressible Flora, we experience the not-so-tidy challenges of balancing a valiant public persona with a chaotic personal life. Through her attempts at transforming the world and herself, we encounter deep friendship, new love, and the complexities of contemporary Jamaica, a place of achingly exquisite but threatened beauty, routine brutality, and poorly hidden secrets. Esther Figueroa, Ph.D. is a Jamaican independent filmmaker, writer and linguist. With thirty years of media making including television programming, documentaries, educational videos, multimedia and feature film, her activist filmmaking gives voice to those outside of mainstream media. Figueroa writes in a variety of genre – fiction and nonfiction, prose and poetry – on a wide range of topics. Her publications include Sociolinguistic Metatheory, and At Home the Green Remains. Her films include the award-winning feature documentary Jamaica for Sale. She lives in Jamaica.